Britech oil Spotting Is safe, effective spotter for tannin stains such as coffee, tea, beer, soft drinks, liquor, fruit juices, grass stains and mustard. An outstanding prespotter, reentrant, and wetting agent. It is mixed with 4 parts water for application by spray or brush or may be used full strength on heavy soil. Britech Oil Spotting was developed with space age technology by cross linking incompatible chemicals and bonding these with unique wetting and emulsifying agents. Britech oil spotting will effectively treat and remove almost all common spills and stains. It will provide professional results against most food and beverage spills, iodine, grease, tar, pet stains, smoke, also makes a great laundry booster. 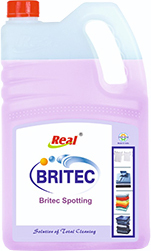 Britech oil Spotting is a fabric-safe, rust-removing spotting liquid. This Product can be effectively applied in hotel laundries, linen and garment rental plants, professional drycleaners, diaper plants and wholesale shirt laundries. 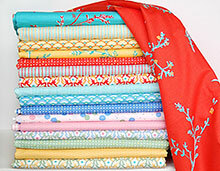 Economical, convenient and safe to colors. Wear rubber gloves and chemical splash goggles. Apply BRITECH OIL SPOTTING to stain directly from dispenser tip. Do not rub in with fingers. Rinse thoroughly with water after application. Old stains may require several applications. 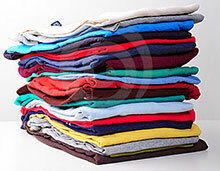 Rinse thoroughly with water after stain disappears.